What makes Fallout so special for many gamers is the fact that Bethesda bestows you with the ability to craft and mould your own unique story – even if you don’t realize it at first. 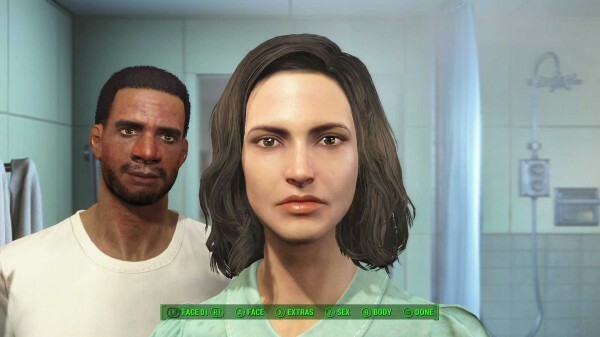 For Fallout 4, the studio is poised to introduce fans to the biggest canvas to date, after Game Director Todd Howard revealed that a staggering 13,000 lines of dialogue have been recorded by the male and female protagonists over the course of two years. Perhaps the more intriguing tidbit, though, is the fact that Fallout 4 will play out slightly different depending on your choice of gender, with Howard noting that players will experience scenes differently and/or from another perspective should they choose a male or female avatar. We were lucky to find two great voice actors, and it’s interesting because she may read things or act things differently than he does. So scenes play out differently depending on whether you are playing the game as male or female. Currently on course for a November release, Bethesda has all hands at the pump for Fallout 4, though it’s understood that work on the RPG sequel is ostensibly finished save for quality assurance and bug testing. What that means is that the company’s resources have been focused intently on the project, and any interest in the once-enticing Skyrim mods has waned by comparison. That’s according to Bethesda’s Pete Hines, who told GameSpot that the feature will be taken back to the drawing board. Honestly, [we have] bigger fish to fry right now than sorting that out. We’re going to re-evaluate it going forward. There is a case to be made that people who spend a lot of time working on mods ought to be able to have a way of monetizing what they’re doing. Fallout 4 will make its debut for PlayStation 4, Xbox One and PC on November 10.